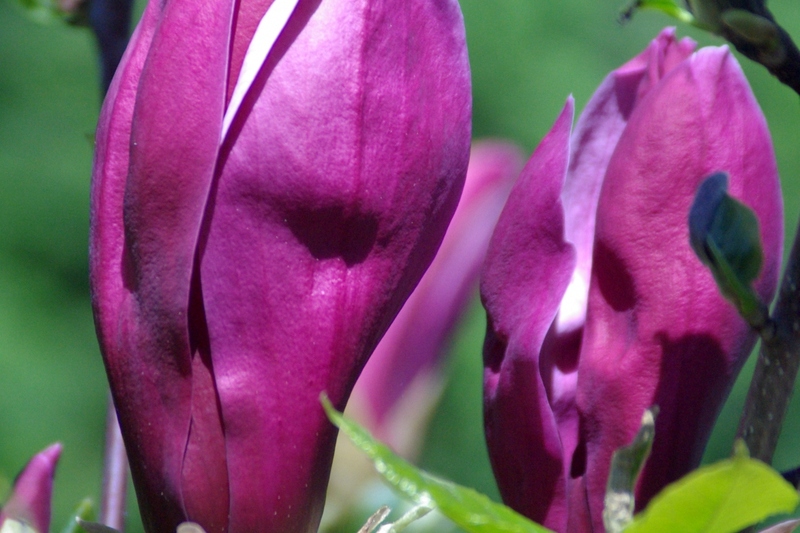 Mulan magnolia (Magnolia liliflora): growing, planting, caring. A small magnolia, with pretty dark flowers. Magnolia liliiflora - Mulan magnolia, lily magnolia or woody-orchid - is a small tree native to southwest China but cultivated for centuries elsewhere in China and also Japan. It was first introduced to English-speaking countries from cultivated Japanese origins, and is thus also sometimes called Japanese magnolia, though it is not at all native to Japan. 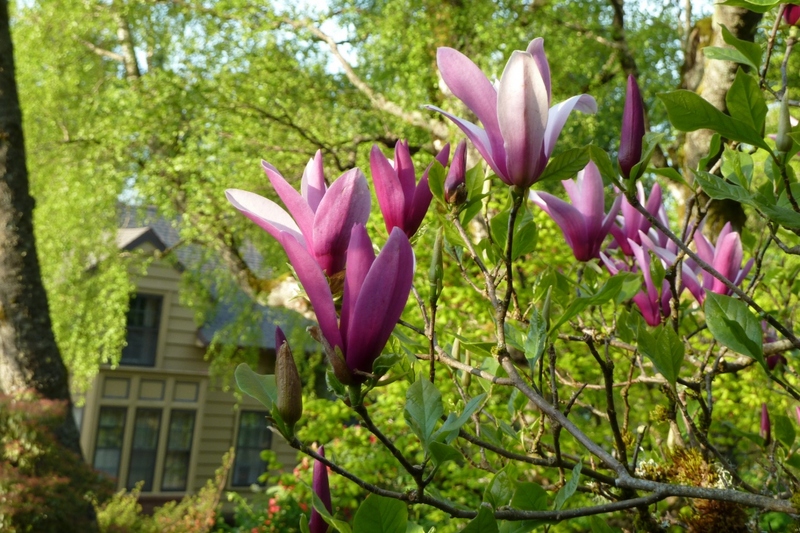 It is now also planted as an ornamental in North America and Europe, though rather less often than its popular hybrid cousin, the Saucer magnolia. It is a deciduous shrub to 4m tall (smaller than most other magnolias), and blooms profusely in early spring with large pink to purple showy flowers, before the leaf buds open. The cultivar 'Nigra', with flowers much deeper in colour than the species, has gained the Royal Horticultural Society's Award of Garden Merit. This species is one of the parents of the very popular hybrid Saucer magnolia, M. × soulangeana, the other parent being the Yulan magnolia, M. denudata.